Juanvi “touches” PREDOC- MESTRELAB award! 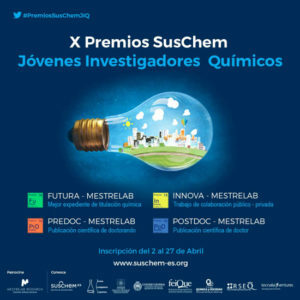 This entry was posted in Award and tagged 2018, Jóvenes Investigadores Químicos, Juan V. Alegre-Requena, PREDOC-MESTRELAB, X Premios SusChem. Bookmark the permalink.